It was Monday, December 1, 1958. The past weekend had been the Thanksgiving holiday and students were counting down the minutes until this school day was over. Just another half an hour and school would be dismissed at 3:00. 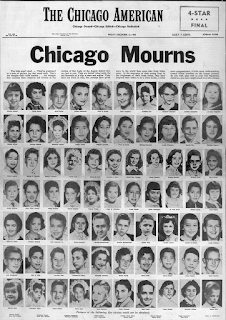 But those next thirty minutes would take a toll on the 1,600 students at Our Lady of the Angels elementary school in Chicago; 92 would die from smoke inhalation, toxic fumes and burns in one of the worst school fires in U.S. history. The fire began in a trashcan near the stairway in the basement of the school at around 2:00 p.m. The smoldering blaze went undetected for almost half an hour. At 2:25 pm three eight-grade girls were returning to their class when they encountered smoke on the second floor. 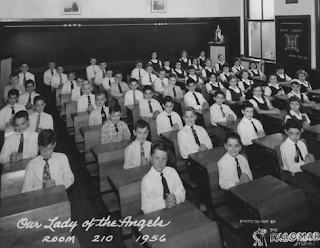 They immediately told Sister Mary Helaine O'Neill, a teacher in Room 211. She prepared her class to exit the building in an orderly fashion and then decided it was too dangerous for them to go down the stairs. 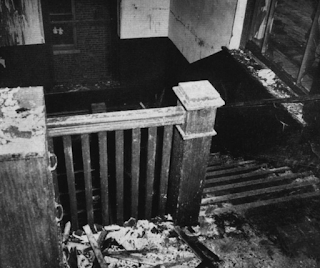 Since the first floor was actually the basement, the second floor was located at the height of a third floor – far too high for children to jump to safety. O’Neill told her class to sit down and wait to be rescued. 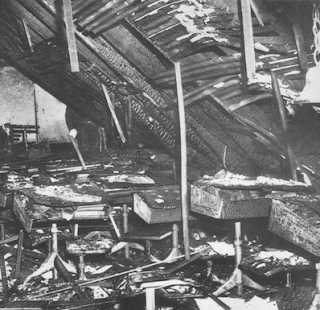 (Twenty-four students were found still at their desks after the fire.) But rescue attempts would prove futile. Those located in the north wing of that second floor were already doomed. Since there was no fire door to the second floor, the fire and smoke raced past the first floor's protective closure and up to the next floor spreading smoke, heat and fire as it burned. 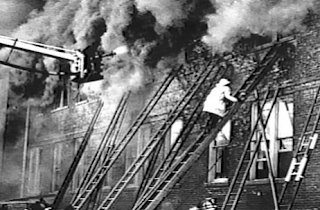 Three hundred ninety two students and five nuns were trapped on the second floor with only one avenue of escape – to jump 25-feet to the concrete below, hoping firemen and by-standers would catch them. Meanwhile, smoke inhalation was taking a toll, and the temperature in the wing was increasing. At 2:55pm, a flashover occurred and parts of the second floor exploded. 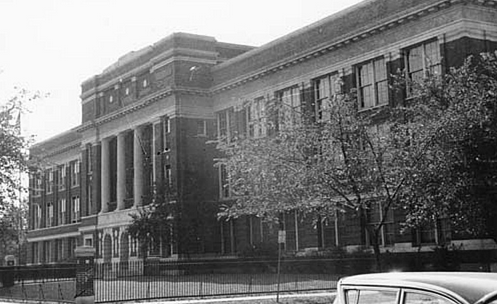 Moments later, the school's roof collapsed onto trapped students and teachers in the north wing. Of the nearly 400 students involved, only 160 were rescued from the inferno. Many jumped, some were caught, and others made a mad dash down the smoke-filled stairs. As a result of the fire, 92 children – 56 girls and 36 boys died, along with three nuns. The cause of the blaze was never officially determined, although in 1962, a 13 year-old boy claimed to have started the blaze, but later recanted his statement. The boy had a history of starting fires in the neighborhood and when questioned, provided evidence that he knew things about the school fire that had not been released. But, in the end, a judge ruled that there was not sufficient evidence to charge the teen with the crime of setting the murderous blaze in which 95 people lost their lives. At the time of the fire, Our Lady of the Angels had one fire escape, no enclosed stairwells, and only the first floor had a protective fire door. The school had only one manually operated fire alarm system. 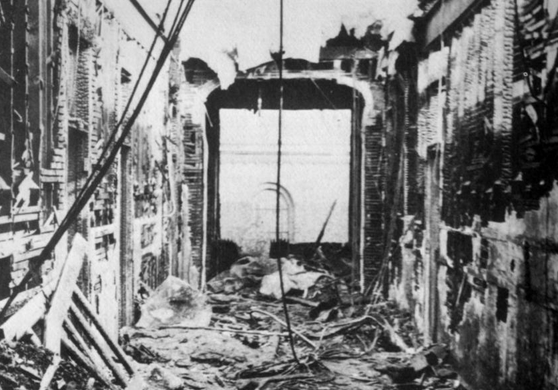 Two fire switches were located in the north wing, a good six feet from the floor, making their use difficult. 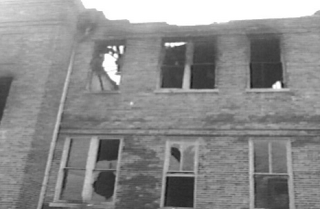 The tragedy resulted in new fire regulations for schools nationwide. Within a year, more than 68% of older schools in the U.S. had seen improvements and were being brought up to code. Sprinkler systems were installed, more fire escapes were added, and alarm boxes were located for easier access. 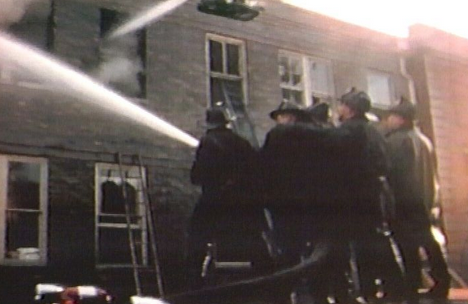 And schools began holding regular fire drills to practice safely exiting a burning building. It has been almost 60 years since that tragic day. 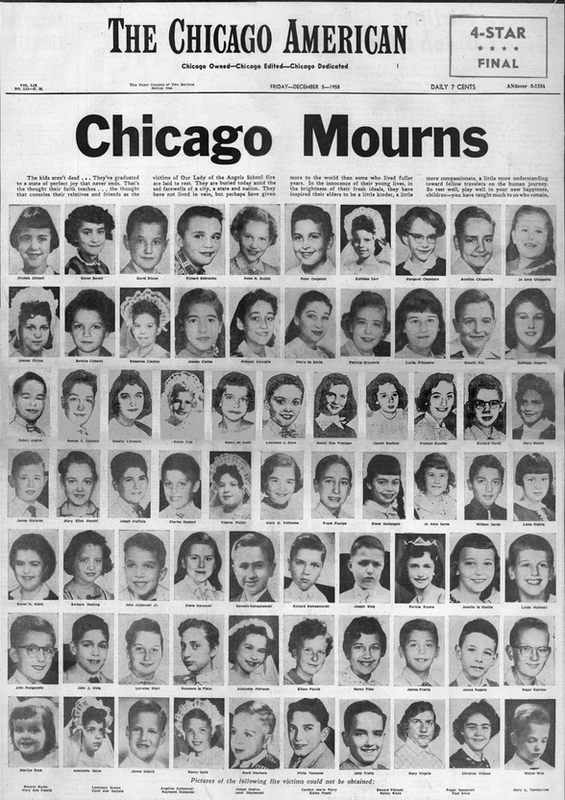 Remembrances are held annually, many attended by those who were students at the time of the blaze, and by those who still remember that hellish afternoon when the skies of Chicago turned dark with smoke as Our Lady of the Angels lost 95 souls to the flames. *Visit Our Lady of the Angels for personal stories and remembrances.